Once upon a time. Happily ever after. Such are the classic promises of fairy tales. Yet in Texas we find a twist to the familiar storyline. 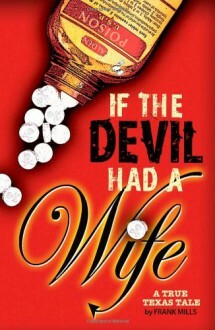 In If the Devil Had a Wife, there is still the battle of Good vs. Evil, a beautiful maiden, a wealthy suitor, a kingdom of riches and the wicked witch, but any similarity with Cinderella and Snow White ends there. With the help of her life partner and an attorney (always necessary in these modern times), Nelda Stark executes a devious plan that elevates fraud and theft to a new high. A massive coverup reaches into the Texas Attorney General's Office, stealing from not only the Stark family, but the federal and state governments.